Our clients can avail Potassium Hydroxide Powder that is used for manufacturing Bulk Drugs , Bio disel and soft soaps. 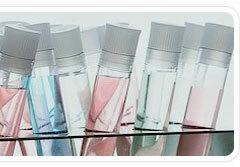 We ensure that the chemicals are stored properly to maintain their purity. Sb + 5 50% Min. Sb + 3 <0.10% Max. Used in Slurry explosive industry as cross linker. Packed in 25 Kilograms multiwall paper bags per pallet. Each pallet is stretch wrapped in polyethene to prevent shifting of the bags during transit or in 500/1000kg. Bulk bags as per clients requirement.